WHAT: After she suffers a nervous breakdown and is forced to take time off from her job, Sandra (Marion Cotillard) discovers that while she was away, the company forced its staff to choose between receiving a €1,000 bonus or allowing Sandra to keep her position. When all but two co-workers vote for the bonus over Sandra, she’s given the weekend to convince the others to change their minds or risk being out of a job in a tough economic climate. 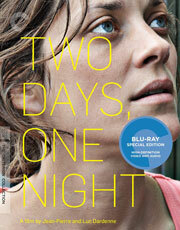 WHY: If you don’t get into a heated argument with somebody over “Two Days, One Night,” then writers/directors Jean-Pierre and Luc Dardennes haven’t done their jobs, because the film is basically one huge social experiment that, while fictional in nature, doesn’t make the content any less primed for debate. Though it seems ridiculous that anyone could be so heartless as to accept a one-time bonus with the knowledge that it would result in someone else losing their job, there are people in the world that are selfish enough to do just that. What’s really unbelievable about the premise, however, is that a company would actually present such an ultimatum to its workers. Though I’m hardly an expert on the Belgian government, aren’t their laws out there to prevent something like this from happening? And even if there aren’t, surely there’s a more inventive solution to the problem than making Sandra’s co-workers decide her fate. It’s manufactured conflict of the highest order, and the only thing that makes it tolerable is Marion Cotillard’s masterful, heart-breaking performance as the desperate woman forced to drive around town begging for the mercy of her co-workers. There aren’t many actresses working today better than Cotillard, and with “Two Days, One Night,” she manages to turn an otherwise mediocre and flawed film into something far more engrossing than it had any right to be. 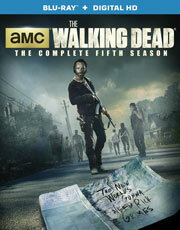 EXTRAS: The Blu-ray release includes the 1979 documentary, “When Leon M.’s Boat Went Down the Meuse for the First Time,” interviews with directors Jean-Pierre and Luc Dardennes and actors Marion Cotillard and Fabrizio Rongione, a tour of the film’s key locations and a video essay by critic Kent Jones. WHAT: Sick and tired of being defeated by the newly formed Justice League, evil genius Lex Luthor recruits some of the world’s greatest supervillains to form their own group, the Legion of Doom, and put an end to the likes of Superman, Batman and Wonder Woman for good. 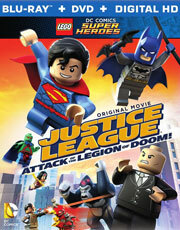 WHY: As the third installment in a continuing series of direct-to-video animated films starring LEGO versions of DC Comics’ most popular characters, “Justice League: Attack of the Legion of Doom!” proves that Warner Bros. has every intention of milking its relationship with the toy company for all it’s worth. But while there are some funny in-jokes for comic book fans and a dash of LEGO’s own playful humor, the movie is an otherwise slight and childish action-comedy that never comes close to realizing the full potential of the DC Universe. Obviously, the film is catered more towards younger audiences, so things need to be kept relatively simple, but would it have killed the filmmakers to make it at least a little more adult-friendly? After all, if “The LEGO Movie” taught us anything, it’s that adults enjoy this stuff too. Even more frustrating is the decision to use Cyborg as the audience’s guide through the story, not only because he’s the least interesting member of the group, but because it comes at the cost of more important characters like Wonder Woman, who’s treated with such blatant sexism that it’s amazing no one involved in the film noticed. These characters and the LEGO brand deserve better than this. 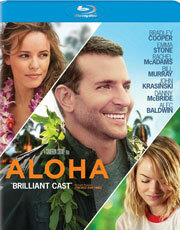 EXTRAS: There’s a featurette on the movie’s sound design, but that’s all.